The design idea of decorating a cafe with mouth-watering dishes casts no doubt upon its efficiency. 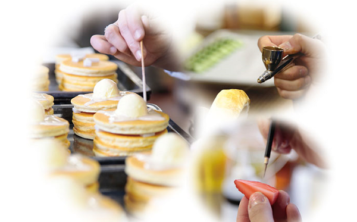 It is delicious and beautiful dishes that attract customers. And this is the basis for effective advertising which originated in Japan. 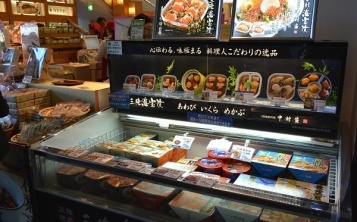 Plastic food replicas are exact copies of dishes and beverages. They adorn the display window and attract passers-by with their tempting appearance. 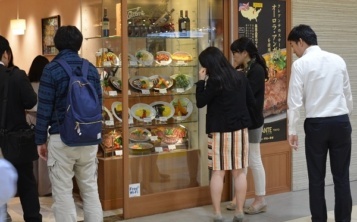 Fake dishes look so realistic that you want to take one directly from the window. This cafe design idea successfully copes with the task of attracting customers.